Smarkets was founded in 2008 and is considered a good alternative to the market leader, Betfair. Smarkets charge only 2% commission on net winnings and so, provide more opportunity for profit when matched betting. As Smarkets isn’t as big as Betfair, you will find that the available funds for most markets are usually less and so it is important to check there are enough available funds to cover your lay bets before placing them. Click here to receive a £10 free bet with Smarkets! Smarkets £10 Welcome Bonus: Deposit at least £20 and any loss you make up to £10 will be refunded in cash. New customers only. 18+. T&Cs Apply. 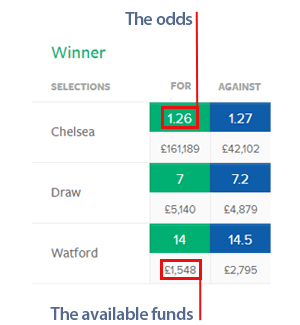 The layout of the Smarkets website is similar to that of Betfairs in that the back and the lay buttons are displayed next to each other and with different colours. As Betfair show their back and lay options as blue and pink buttons, Smarkets display theirs as green and blue. Where green is for back bets and blue for lay bets. It is very important to get familiar with each exchange before placing your bets to minimise the chance of mistakes. 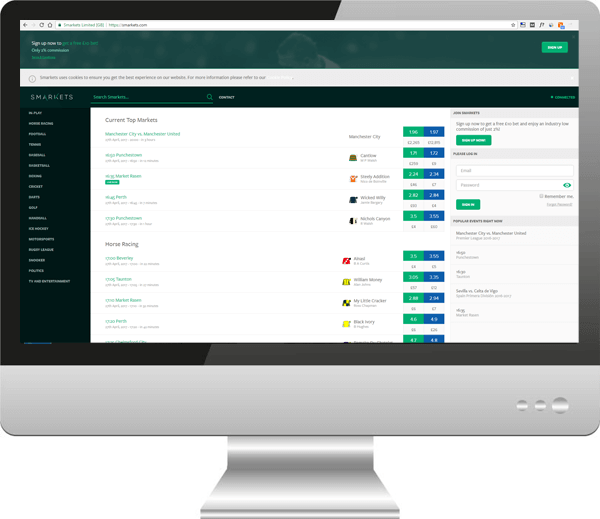 Smarkets’ commission rates is one of the main reasons you should use them as an option for your lay bets when matched betting. They charge 2% commission on net profits which is a lot lower than Betfairs 5%. This difference will mean there will be times when your bets will return a higher profit if you use them over Betfair and so it is worth opening an account just so you have that option. As mentioned above, the back and lay buttons on Smarkets are different colours to what you may be used to if you have used Betfair Exchange previously. However, the layout is generally the same with the back buttons on the left and the lay buttons on the right. The odds are displayed in the coloured boxes with the market availability in a separate box below them. When placing your bets on Smarkets you’ll see the odds displayed in the green and blue boxes and the available funds in the grey box below. Before placing your bet, make sure the available funds are equal to or above your stake. If the available funds are lower, your bet won’t be fully matched straight away and may not be at all. To find a specific event on Smarkets you can either navigate to the event using the categories in the sidebar on the left or you can use the search box at the top of the page. Once you have found your event and you have confirmed the odds are at what you have calculated your lay stakes with as well as checking to see if there is enough liquidity on the market, you can click on the blue box to place your bet. In the example below we have clicked on the blue box for Chelsea. This means we are laying Chelsea and so betting on them not to win. When you click on the lay button you will be able to enter your stake which will show you your liability. You must have enough funds in your Smarkets account to cover the amount of the liability for the bet. Once you have clicked the ‘Place Bet’ button you will be asked to confirm your bets. Once this is clicked your bet will be placed and matched automatically if there is enough liquidity on the market. Smarkets have improved in recent years with the markets they cover and in turn they have seen an increase in users and liquidity on those markets. They’re not at the levels of Betfair exchange yet though and you may find some less popular markets have a small amount of available funds on them. Although for most major sporting leagues and events, there should be enough funds on the markets to cover your bets. The Smarkets app is available for iPhone and Android devices and provides full exchange functionality. All markets and betting options that are available on the Smarkets website are available on the app including in-play betting, back & lay options and automatic odd updating. Similar to Betfair exchange, Smarkets don’t run regular promotions like bookmakers but they do have an offer for new customers. 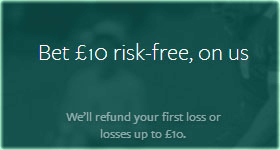 When you sign up to Smarkets and deposit at least £20, you’ll receive a refund of £10 on your first losing bet. So long as you have a losing bet in your first 30 days of using Smarkets, it will be refunded as cash. To make the most of the Smarkets risk-free bet, it is advised that you use Smarkets for your lay bets when matched betting after you open an account until you have a losing bet. If you need assistance with your Smarkets account you can contact their support team 24/7 via live chat. They also offer support via email, phone and Twitter. Smarkets are an excellent alternative to Betfair for a betting exchange. Although the liquidity on less popular events may be an issue when matched betting, it is not a major problem. Matched betting is all about making profit and as Smarkets charge a lower commission rate on net profits than Betfair, using them can often result in greater returns on bets.